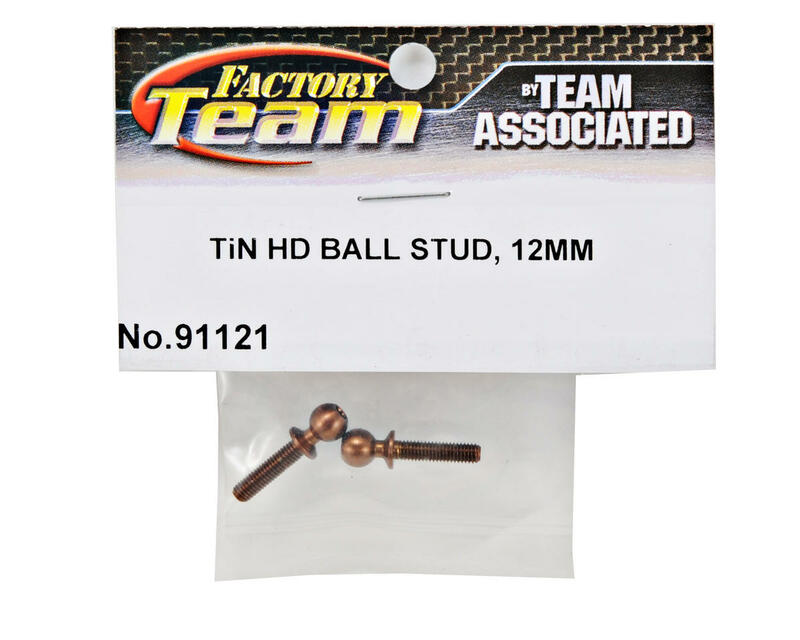 This is a Team Associated Factory Team 12mm Ti-Nitride Heavy Duty Ballstud Set, and is intended for use with the Associated SC10 4x4. 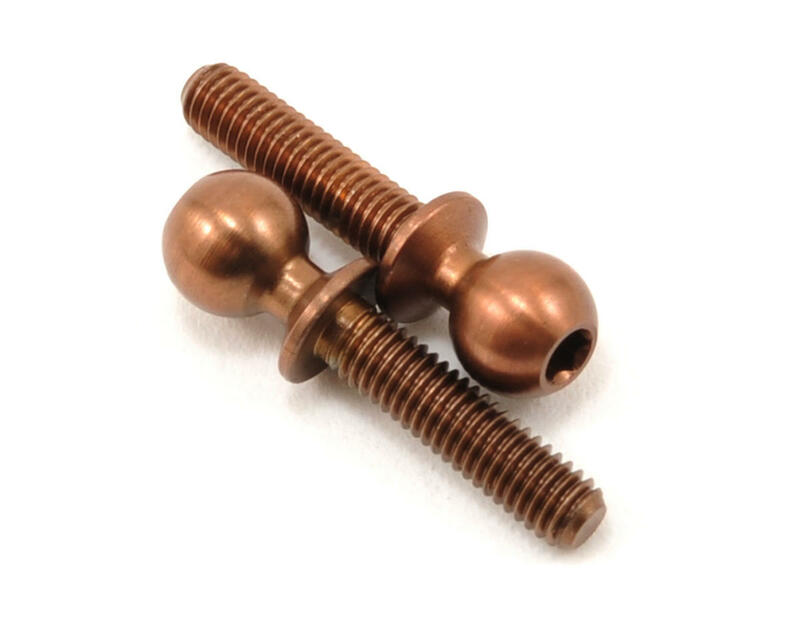 Used primarily on shock shafts, titanium nitride coating reduces friction while increasing durability. When used on Ballstuds, suspension components move more freely which in both on-road and offroad applications means more consistent handling and reduced maintenance.